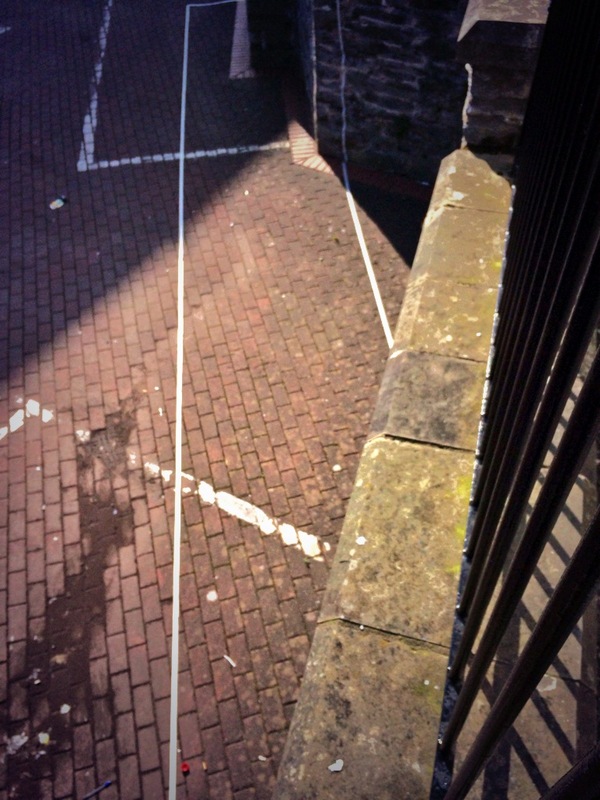 After Day 3 of Street Society 2014, drivers parking in spaces next to Derry Walls might have been confused about some extra white lines (temporary ones of course) which appeared overnight. The team of student architects had been there, marking out the layout of the missing Water Bastion. The Londonderry Sentinel reported in June 1844, that the Bastion had partly been taken down, the result of the widening of a set of steps from this North- East Bastion down to Foyle Street. A deputation from the Irish Society in 1838 had recommended the improvement of what they described as a “postern-gate communicating with Foyle Street” by the addition of a new step. The result today is that Water Bastion is now one of three missing bastions. 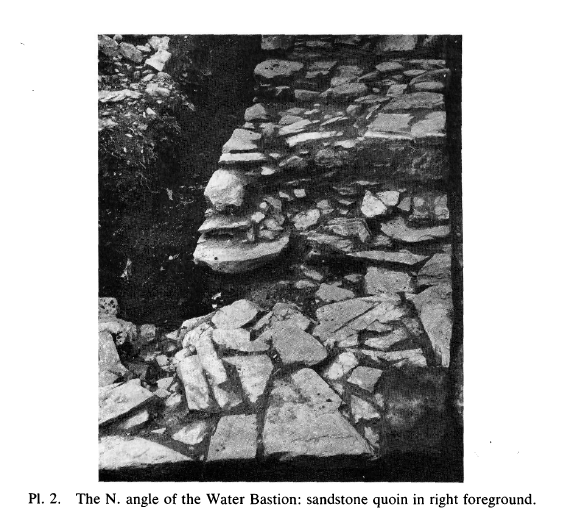 An excavation by Nick Brannon in the late 1970s revealed the lozenge shaped plan of the missing bastion. The students from QUB’s Street Society 2014 are looking at the space between the Central Library and the surviving City Walls, coming up with proposals about how this space might be animated to indicate the underlying archaeology. On Day 4 the students started to draw up concept plans for the all three sites, viz. Water Bastion, Bishop Gate and the Plinth on Royal Bastion. They also looked at how people could be encouraged to explore the exterior of the Walls as well as just using the promenade along the top of the ramparts. 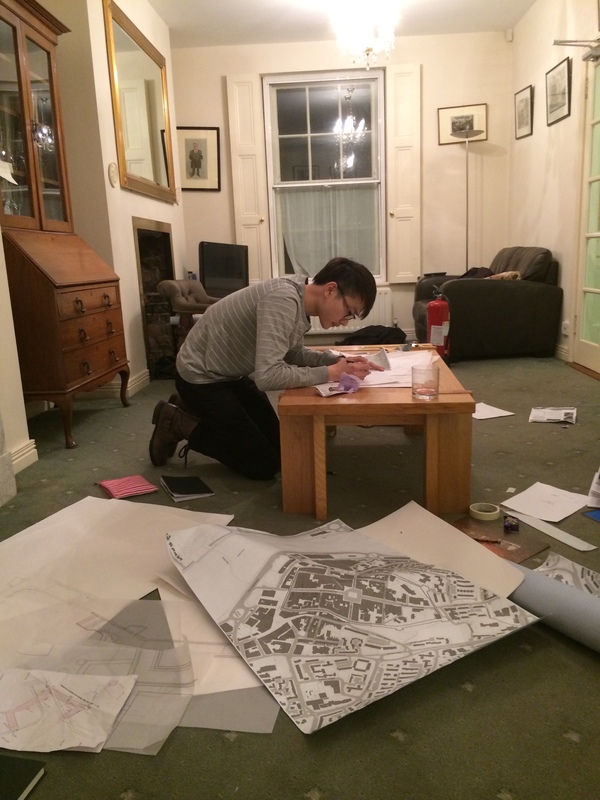 The final concepts plans will be presented at an event on Friday afternoon in QUB’s Elmwood Hall where all the Street Society 2014 projects will be showcased. 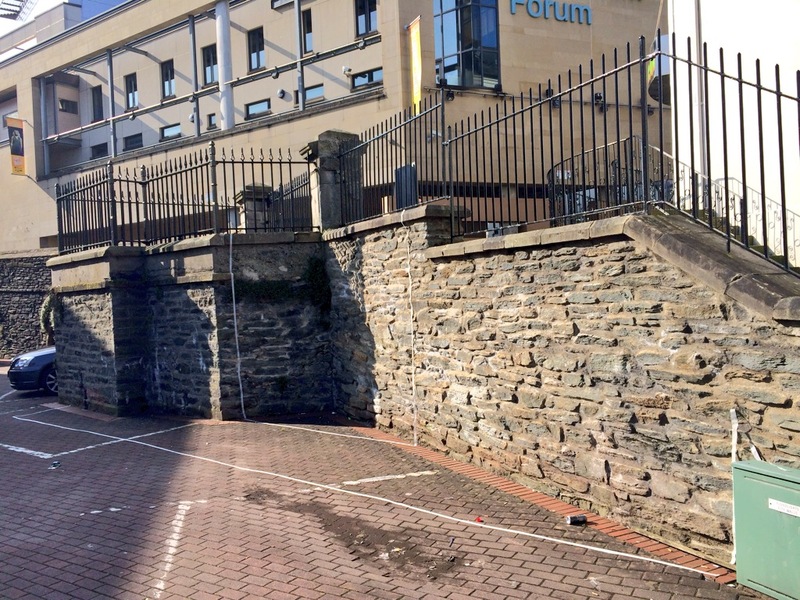 It is intended that the student’s ideas will be uploaded to this website to encourage local conversations about how to better present some interesting parts of Derry Walls.